April 2015 – Interested in Learning How to Find, Select and Eventually Live On Board Your Own Sailboat? You're in the Right Place…. I recently came a cross a product that holds a lot of promise for boats plagued by birds (and their little gifts they leave behind). 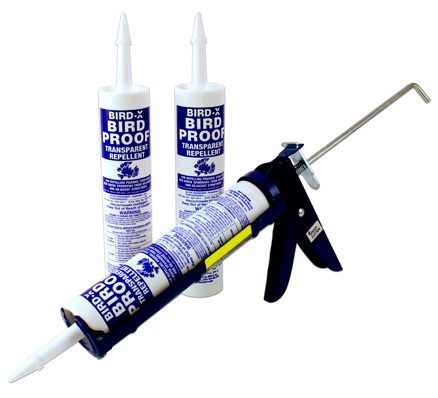 Bird-X, a sticky, non drying caulk that can be applied with a standard caulking gun in thin strips to your windex, mast top plate or any other surface where you have the unwelcome visitors..It stays tacky and apparently birds hate that sensation on their feet…This product is available at Home Depot or www.bird-x.com it retails for around $36. I suppose the ultimate test will be time, since as it gets coated with dust or other airborne material, will it lose its “tackiness” and become less effective or will the birds making contact with it ablate the surface exposing new sticky material? I recently applied some to our Windex and I will continue to monitor it but so far, so good. A logo for our blog…what do you think? I had hoped to get some voting buttons attached but the plugins are more finicky than I expected….. Format GalleryPosted on April 22, 2015 April 24, 2015 Categories About us, photosLeave a comment on A logo for our blog…what do you think? On our boat, we have ten house batteries and one starting battery. The house batteries are Trojan brand T-105 6V batteries paired to make what is essentially five 12V batteries. They are divided into two battery banks one of 6 and one of 4. Our starting battery is a Deka Group 31 deep cycle starting battery. We recently replaced all the batteries which cost about $149 each if you can get them for a good price. Our starting battery also runs our bilge pumps. The evolving mystery is this….twice in the last year, our starting battery has been too low to start our diesel after being away from our boat for about 6 weeks. We have 7 solar panels, a wind generator (this was turned off) and were plugged into shore power when this has happened. We have three barrel switches that select the charging method for the batteries, the bank that the house operates on and one isolates or connects the house and starting batteries. Normally the start battery is isolated. According to Nigel Calder this setup is optimal for a larger boat with two battery banks. The catch is that you need to use “Shottky” diodes to protect your batteries from discharge. These diodes essentially act as a “one way” valve for current to flow into the batteries with a slight drop in voltage (between .15 and .65 by most accounts). The simple fix has been to switch the batteries to “all” and let the house bank top off the starting battery. After about five minutes all is back to normal. I just don’t want to count on this when we are away from shore power. I can’t imagine a circumstance where our bilge pump would run enough to discharge our starting battery and normal self discharge for this battery should be a much longer time than this. Even at 80 degrees ambient air temperature the discharge time according to many sources is well beyond 8 weeks. Normally the self discharge rate is 4% to 6% per month. I’ve checked most of the connections for excessive heat and found nothing yet. I plan to do some more checking and troubleshooting or replacement of our diodes and I will post more as it develops…comment for suggestions are always welcome…..
We have 16 new subscribers for April so far and the good news is we will be having the “small gift” raffle for anyone who signed up or signs up in what’s left of April…so, if you visit in April be sure to subscribe or comment and get in on the raffle so you are eligible!!! Subscribing gets you one entry and each comment gets you one entry also…..I’ll just be drawing the email address out of hat at the end of the month…..pretty high tech, I know…. Thanks for subscribing and commenting !! These are fiction and non fiction, technical and entertaining…..in no particular order…This first incarnation of this entry is just off the top of my head…. How to Read a Nautical Chart….. While this link may not display these books initially ALMOST all of these titles are available through Amazon….. While recently performing some interior teak refinishing (which not as bad as everyone says it is) a friend of mine was on deck doing a little fishing for our dinner when he saw a large dolphin chasing fish all the way into the shallows (About 18″ of water) near the mangroves and directly under the boat. This is not a behavior we normally see in this area. The fish are very plentiful and the dolphin normally hunt in groups of three or four. 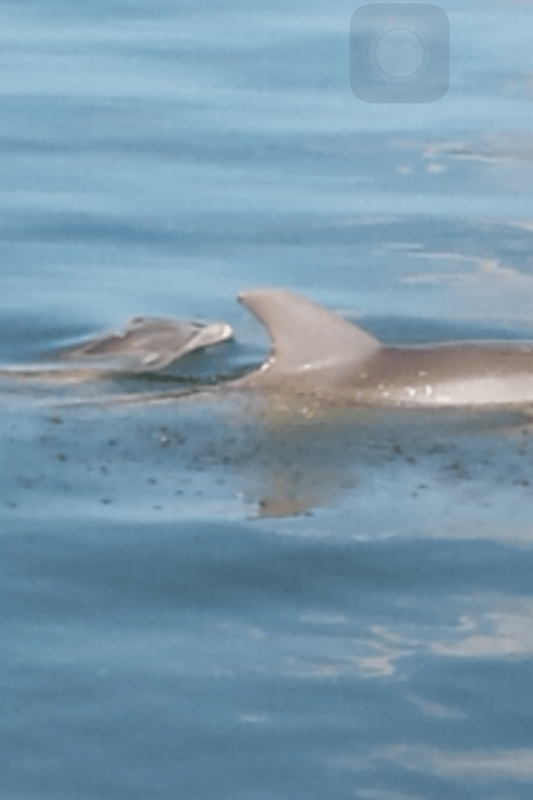 Once the dolphin finished and was moving away, we saw the reason for the unusual behavior….